Michael is a print and digital graphic designer at ERC. He produces a wide array of collateral, materials and promotional elements for the organization. Michael has a strong background graphic design, desktop publishing, and illustration. Prior to joining ERC, Michael was a Graphic Designer for BioMed Specialty Pharmacy in Cincinnati, Ohio. At BioMed, Michael produced sales materials, content, and was heavily involved with print production. 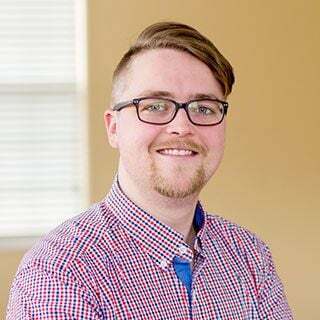 Michael has contributed to the branding efforts for TEDxCincinnati, and is the recipient of numerous student ADDY awards from the American Advertising Federation. Outside the office, Michael pursues his interests in bow ties and bicycles, and he still plays drums once a week to keep his inner rockstar alive.